CHICAGO – In our latest edition of HollywoodChicago.com Hookup: DVD, we have 10 DVDs up for grabs to the new “Katt Williams: Pimpadelic” DVD with comic sensation Katt Williams! Katt Williams has been featured in “Lonely Street,” “First Sunday,” “The Perfect Holiday,” “Norbit,” “Epic Movie,” “Behind the Smile,” “Rebound” and “Friday After Next”. To win your free “Katt Williams: Pimpadelic” DVD courtesy of HollywoodChicago.com, all you need to do is tell us why you love comedy in this Web-based submission form. That’s it! The “Katt Williams: Pimpadelic” DVD was released on Oct. 13, 2009. Directions to enter this HollywoodChicago.com Hookup and immediately win can be found beneath the graphic below. 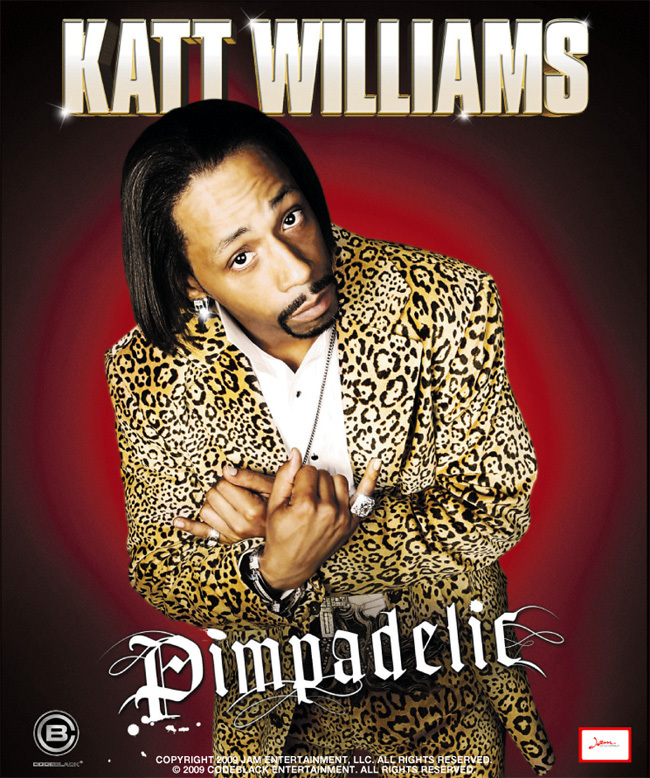 The DVD cover for “Katt Williams: Pimpadelic” featuring comic sensation Katt Williams. As one of the country’s hottest comedians, Katt Williams showcases his laugh-out-loud comedic talents and unique charisma in his latest stand-up special. Go on the road with Katt as he performs in front of sold-out audiences all over the U.S. Never disappointing his fans, Katt brings the house down with laughter as he draws on his own experiences and his edgy take on life! The DVD trailer for “Katt Williams: Pimpadelic” can be viewed now below. To secure your free “Katt Williams: Pimpadelic” DVD, you must be logged into your HollywoodChicago.com Web site account. If you don’t yet have one, you can quickly register here. Having a free Web site account with a valid e-mail address is required to win this HollywoodChicago.com Hookup. Next, simply tell us what you love about comedy. You must submit your answer using this confidential, Web-based submission form. Please do not comment in this Hookup. Your entry will be invalid if you only comment here and don’t submit into our Web-based form. Please only submit your answer using this submission form. This HollywoodChicago.com Hookup: DVD is simple: 10 HollywoodChicago.com readers will be randomly selected as the winners of our “Katt Williams: Pimpadelic” Hookup! The winners will be mailed the DVDs at our expense. Good luck! Submitted by Anonymous (not verified) on October 16, 2009 - 7:17pm. I love the fact that no matter where I am: in the car, at a show, or sitting at home that I’m allowed for that moment to forget about all that troubles me and laugh uncontrollably! Submitted by justaguy23423 on October 16, 2009 - 7:22pm. I love that, even through tough times such as the war in Iraq and the recession, we can all laugh and feel comfortable because laughter truely is the best medicine! Submitted by madceller on October 16, 2009 - 7:25pm. It make’s bad day bright and sunny and sunny day just the right temp it means the day that i’m comfronted with will be a happy one. Submitted by Anonymous (not verified) on October 16, 2009 - 7:36pm. Submitted by Ed Nemmers (not verified) on October 16, 2009 - 7:37pm. Comedy, ah, it makes men better than they are! Submitted by Anonymous (not verified) on October 16, 2009 - 7:42pm. Submitted by Anonymous (not verified) on October 16, 2009 - 7:43pm. When you laugh the world laugh withs you. When you cry you cry alone. It is better to laugh at someone else. It is better to laugh at your self than have them laugh at you. Werd to your Mother. Submitted by nickvxx on October 16, 2009 - 7:45pm. Submitted by Anonymous (not verified) on October 16, 2009 - 7:48pm. Submitted by Anonymous (not verified) on October 16, 2009 - 7:54pm.